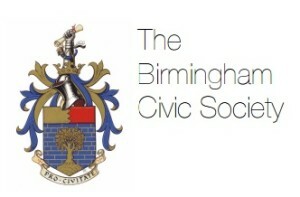 Birmingham Civic Society is a membership organisation. It reflects the diversity and uniqueness of our city, through the members – individuals and corporate. The Society is approaching the celebration of its centenary year in 2018. It would like to review where the Society current is and set out a strategy for the next five years so that it builds upon the firm foundation of the previous 100 years of work whilst embracing and moving forward in the twenty-first century. Birmingham Civic Society would like to develop a five year strategy for the period 2016-2020. The centenary year will be the central year within the strategy plan. The strategy will ensure that there is a clear direction for the Society in building-up to 2018 as well as ensuring there is a legacy following on from the centenary celebrations. It is essential that our members are given the opportunity to shape and inform the +PLUS strategy. There should be sufficient time and resources given within the program to consult with members – both individuals and corporate. The Society has a very active group of members who are involved in organisation and developing the Society including Trustees, Ambassadors and Committee Members. It is important that active members are included within the consultation. The Society would like to consult with non-members to understand how the Society is perceived and what it could be doing to attract more members. Consultation with non-members should include individuals, companies of varying sizes and other groups/organisations/charities. It is essential for the consultation to engage with a broad spectrum of Birmingham citizens, reflecting our diverse and unique city. The findings and results of the consultation should be presented to the Trustees and +PLUS Strategy Committee. Following this, the appointed applicant, will work directly with the +PLUS Strategy Committee in developing the five year strategy. It is envisaged that the strategy will be based around a series of themes that link all of the activities the Society is involved within. The +PLUS Strategy will be a useable document for the Society and various Committees to develop a more detailed programme/action list/targets. It is not anticipated that the appointed applicant will be involved in this on-going stage, however, should there be a need/opportunity for further input the Society will consider the requirements accordingly at that time. The total budget allocated for this work is £2500.00 incl. VAT. Payment will be geared to milestones to be agreed with the successful applicant. The consultation and strategy is to be completed by end of March 2016. Birmingham Civic Society, 9 Margaret Street, Birmingham, B3 3BS. Applications should be no more that 4 sides of A4 and submitted by post or email to the above address by 12pm midday on Friday 27th November 2015.